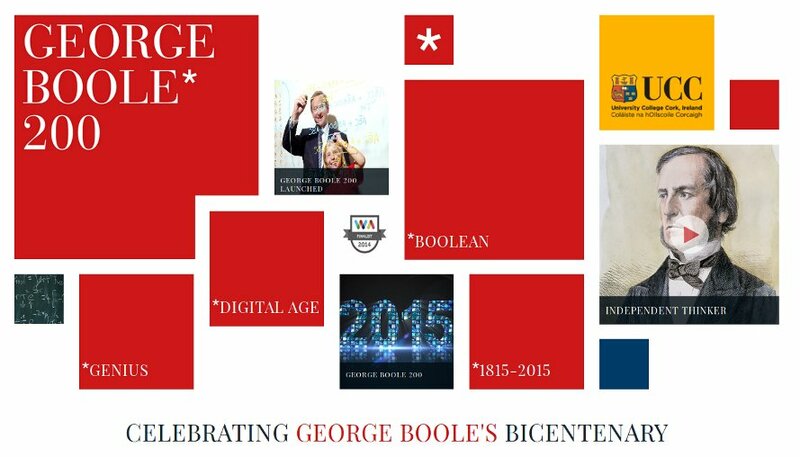 A fascinating parallel between a brilliant mathematician and an arch-villain of crime fiction is drawn in a forthcoming book – New Light on George Boole – by Des MacHale and Yvonne Cohen. Professor James Moriarty, master criminal and nemesis of Sherlock Holmes, was described by the detective as “the Napoleon of crime”. The book presents convincing evidence that Moriarty was inspired by Professor George Boole [TM151, or search for “thatsmaths” at irishtimes.com]. Joyce in Zurich: did he meet Zermelo? Children sometimes amuse themselves searching for the biggest number. After trying millions, billions and trillions, they realize that there is no end to the game: however big a number may be, we can always add 1 to produce a bigger number: the set of counting numbers is infinite. The concept of infinity has intrigued philosophers since antiquity, and it leads to many surprises and paradoxical results [TM110 or search for “thatsmaths” at irishtimes.com]. The claim is often made that mathematical results are immutable. Once proven, they remain forever valid. But things are not so simple. There are problems at the very core of mathematics that cast a shadow of uncertainty. We can never be absolutely sure that the foundations of our subject are rock-solid [TM104 or search for “thatsmaths” at irishtimes.com]. The ancient Greeks put geometry on a firm footing. Euclid set down a list of axioms, or basic intuitive assumptions. Upon these, the entire edifice of Euclidean geometry is constructed. This axiomatic approach has been the model for mathematics ever since. This week’s That’s Maths column in The Irish Times (TM058, or search for “thatsmaths” at irishtimes.com) is about George Boole, the first Professor of Mathematics at Queen’s College Cork. Many of us recall the sense of wonder we felt upon learning that there is no biggest number; for some of us, that wonder has never quite gone away. It is obvious that, given any counting number, one can be added to it to give a larger number. But the implication that there is no limit to this process is perplexing. 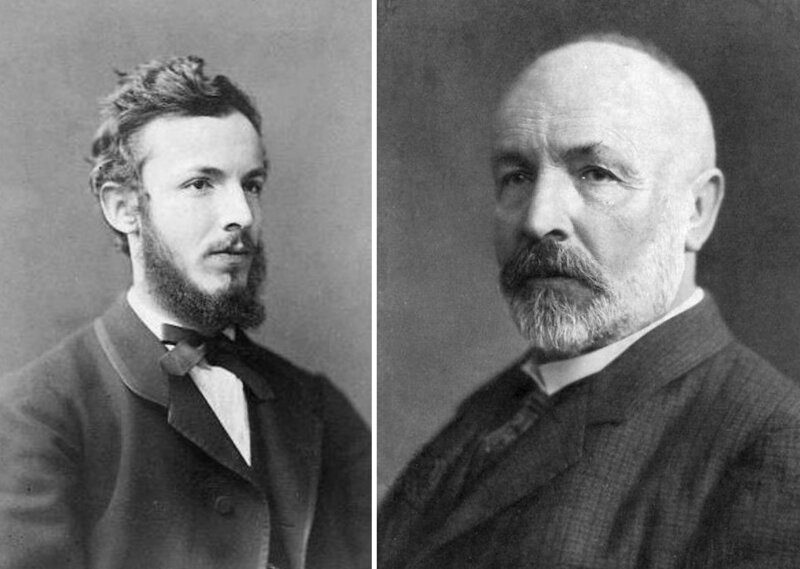 Georg Cantor (1845 – 1918) around 1870 (left) and in later life (right).